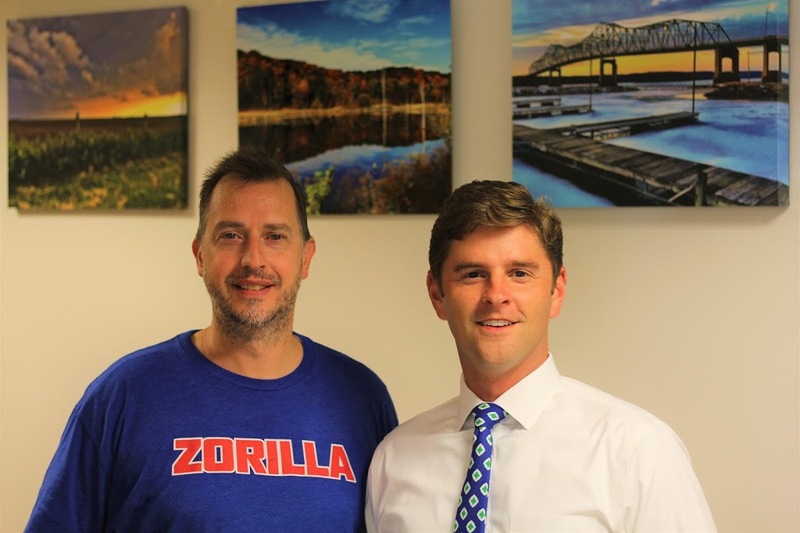 State Representative Ryan Spain is hosting a display of photographs taken within the 73rd Legislative District by local photographer Travis Guthman. Travis Guthman, a rural Sparland resident, is a local photographer and business owner. As the owner of The Pizza Peel in Lacon, Guthman has branched out his photography hobby to include a beautiful array of landscape photographs that span the spectrum of rural life in Central Illinois. “My family and I have been fans of pizza from The Pizza Peel in Lacon for a while now. When I saw some of Travis’ photography work, I knew that I wanted to host a display of his beautiful photographs in my Peoria Constituent Service Office. His work gives visitors to my office a wonderful visual taste of life in the 73rd District,” said Spain. Spain is hosting nine prints of Guthman’s, which are printed on several different mediums. “I selected prints which I felt are truly representative of the beauty of Central Illinois. The photos depict barns, bridges, lakes, rivers, fields, and the great beauty that can be found in Central Illinois’ rural living,” Spain continued. Anyone interested in viewing the photographs may visit the District Office of Rep. Ryan Spain during regular business hours, 8:30am-4:30pm, Monday-Friday. More of Travis Guthman’s Photography can also be found at www.travisguthmanphotography.com.